A Quick Drive Through the Intersection of Mobile Phones and Probable Cause. 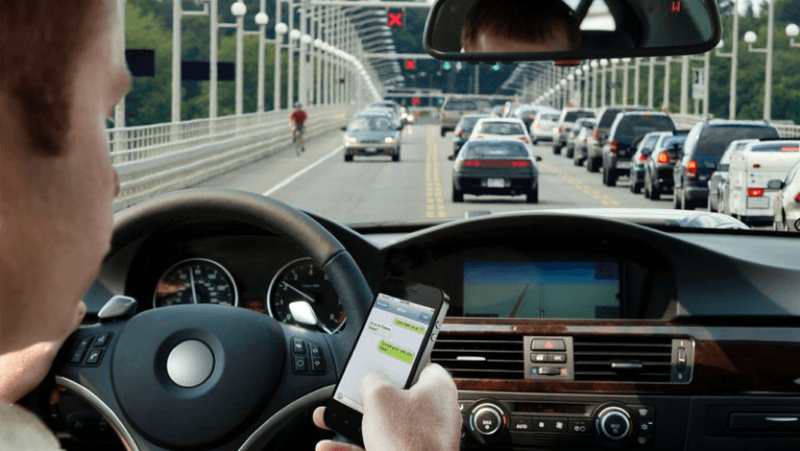 As mobile phones have proliferated, so too has the number of motor vehicle accidents wherein one or both of the drivers was using their mobile phone while driving. Public safety warnings alert drivers of the danger via television commercials, radio ads, and roadside billboards. States have also taken action, quickly drafting and signing legislation that creates criminal sanctions for people who text while driving. According to the Insurance Institute for Highway Safety, as of January 2019, 47 of the 50 states have laws in place prohibiting texting while driving, and 2 of the holdouts have partial bans. As always, however, the devil is in the details, and both law enforcement officers and judges must determine what types of driver behavior constitute probable cause in such situations. Pham’s motion was denied by the trial judge, but Pham appealed his conviction to the Oregon Court of Appeals, where there was a split decision. The ultimate question was whether the police officers had probable cause to stop Pham based on their observations. Probable cause has a subjective and objective component, that is, the arresting officer must subjectively believe the person has violated the law, and the state must prove the police officer’s subjective belief is objectively reasonable in the situation given the totality of the circumstances. Two judges on the panel agreed that when Pham pushed something on the screen, that act was sufficient to establish probable cause that Pham was using the phone to communicate by voice or text. The third judge on the panel dissented, noting that the police officer did not see Pham talking to the device, raising the device to his ear, or appearing to listen to the device. The police officer only saw Pham push the screen with his finger, and the dissenting judge noted that this action could also indicate Pham was checking for directions, moving an on-screen map, looking for an address, or simply changing the song, audiobook, or podcast that he was listening to at the time. The dissenting judge noted that some of these behaviors would be unwise while driving, but they were not prohibited by the statute. Pham should appeal the decision to the Oregon Supreme Court. In his appeal, Pham should ask the same question posed by the dissenting judge: Was there any objective reason the police officer had to conclude that pushing a button on a lit phone screen meant the driver was “more likely than not” to be texting as opposed to other common phone functions? The police officer did not provide an objective reason for his conclusion in the trial court, nor did the majority in the Oregon Court of Appeals. Going forward, states need to be clearer when drafting statutes about precisely what phone functions are prohibited while driving a vehicle. Oregon wisely amended the statute after the incident, expanding the prohibition to cover the use of a phone for “entertainment, navigation, accessing the internet or producing electronic mail” in addition to texting or voice communications. Police officers must also be aware which specific phone functions are prohibited in their jurisdiction, and they must think about what behavior constitutes probable cause. Student Bio: John Montgomery is a second-year student at Suffolk University Law School and a staff member of the Journal of High Technology Law. He holds a Bachelor of Science degree in Crime, Law, and Justice from Pennsylvania State University. He also holds a Master of Arts degree in Criminology from John Jay College of Criminal Justice, and a Master of Public Policy degree from Northeastern University.